Just finished "All Kinds Of Tied Down" love the story and the characters. Thanks for the reminder. I thought I had pre-ordered it. Just downloaded my preorder :) Can't wait! Ok, I loved it. Miro and Ian were awesome. They had an intense vibe that I could just FEEL. I loved how they were always in each other's space. 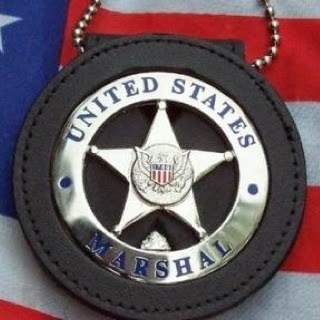 They were engaging characters that I immediately loved and it was cool to get to know them while reading about their day to day lives as marshals.The sexual tension when Ian returned from being deployed was very hot-the scene on the plane and the scene at the car rental place were especially mouth watering. As I said above, I really liked the vibe or the dynamic between them. They complimented each other with their strengths and weaknesses. They reminded me of puzzle pieces. The balcony thing was awesome. I would love to see more balcony exits-I'm assuming you are planning a sequel for them because of the Hartley thing. So yeah...sequel with Hartley stalking Miro!!!???? Plus I gotta admit I'm hoping Cabot and Drake get their own book. I loved seeing Sam and the pink cat thing is sooo Jory. And I've got to ask; Is the hitman Miro chased,Rahm Daoud, going to be Conrad's HEA? Seriously, I really, really enjoyed this book: the plot, the characters, everything. Happy Fourth!! Thank you ;) I enjoyed the different perspective/dynamic of their relationship immensely! Truthfully I dunno where to start so I will just stick with it's a great read. Ok...I will add that I LOVE how you interwove so many of your previous characters, even the mention of your short story characters from Where You Lead...tell me pretty please? Was the Dr Sean mentioned in passing the same Dr Sean from Acrobat?! With Kai hmm? I would be interested in seeing how that would work! Loved the book! Wish the scene with Jory was bigger cause he's my favorite of all your characters (although they're all pretty well written). I would love to read that!! Like Kendra I cannot get enough of Jory. Loved the book. I pretty much read it in one go. I second a book where Rahm Daoud would be one of the main characters. Enemies turned into lovers has that edge I like. Would be interesting to read how a killer would fall for a marshall, or how a marshall would capture him. I think Rahm Daoud would know Conrad Harris, they're both hitmen after all, so that's probably where he'll go next. :) I have this list on my desktop of books and Conrad is right there after Glenn. ...and a story about Jory and Sams wedding would be a good thing...I was sad that we did not get that in the main story. This another fantastic book by Mary Calmes. I suspended reading it because I don't want it to end and crave for more. I enjoyed the slow build up of romance between Miro and Ian. As always, you can feel the background/setting in Mary Calmes stories. Though not a character in this book, how I wish that she will write Tracy's story (he's Jory's friend in A Matter of Time). He's been in my mind lately, after reading A Matter of Time for a hundred times. Keep on writing Mary Calmes! Thanks for the privilege of reading your books and knowing your characters! I like your idea of a Sam and Jory story, the longer the better! :) The 1st book (of yours) that I read was Steamroller and loved it. Have you ever thought to write a follow up to see what Vince and Cress are doing after graduation? I am just rereading Duncan and Aaron's story and want to know more about T. He sounds very interesting and needs a HEA.